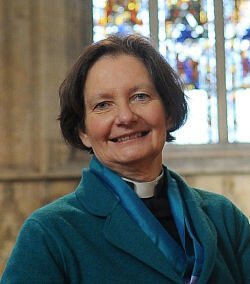 We note that Bristol’s brand new Anglican bishop, the Very Reverend Vivienne “Basterd” Faull and deceased (2006) Irish Catholic priest Monsignor Denis Faul have almost the same name. Father Faul was well known for his POLITICAL PROTEST-BREAKING activities in the H Blocks (Maze Prison, Northern Ireland), to which the British colonial state had given him unfettered access for that very purpose. South of the border, the very same good priest also campaigned tirelessly AGAINST such basic human rights such as contraception, divorce and abortion. Are these two Faullish clerics by any chance related? This entry was posted in News and tagged Bishop of Bristol, H Blocks, Maze Prison, Monsignor Denis Faul, Vivienne Faull on July 2, 2018 by thebristolblogger.